Welcome to 30 days of Roc, where we release 1 new instrument a day! Well, not anymore, because it's the 30th day! Thanks to everyone for being a part of this fun and exciting time for Roc. In the end, we pushed over 600 new sound effects to our beloved music creator, and that's only the beginning! Since we've dubbed 2011 as the "year of improvements", I guess it's safe to say we'll continue to inject Roc with fun-juice throughout the year! We're also running a contest for each instrument, where you can win $10-$50 iTunes gift cards. Enter now to prove you're the Roc master. First time here? OMG find out how much you've missed! It's no secret that the majority of us here at Aviary loves games, whether it's a classic board game, or an extreme 3D racing-1st shooter that involves aliens and bunnies. We love them all. So what better way to end 30 Days of Roc than to release an instrument pack that will 1. Compliment the past 2 releases, the 8-bit Organ and the 8-bit Piano, and 2. Bring out your inner gaming addiction! 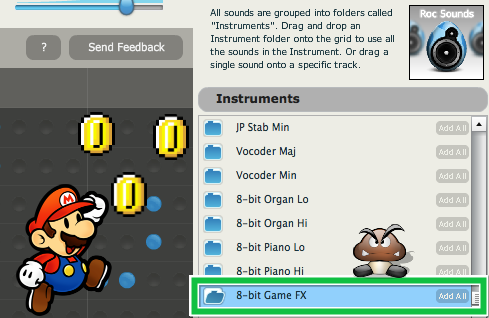 You can now find 8-bit Game FX in the instruments tool bar, located on the right hand side of Roc, our music creator. This sound pack is filled with all your childhood gaming effects, including power-ups, gathering coins, explosions, and...well we don't want to spoil the fun! Launch Roc now to see what the fuss is all about, and remember, every instrument, including 8-bit Game FX, is licensed under creative commons attribution. This means that you can use any music you've created in Roc (even in a commercial project!) 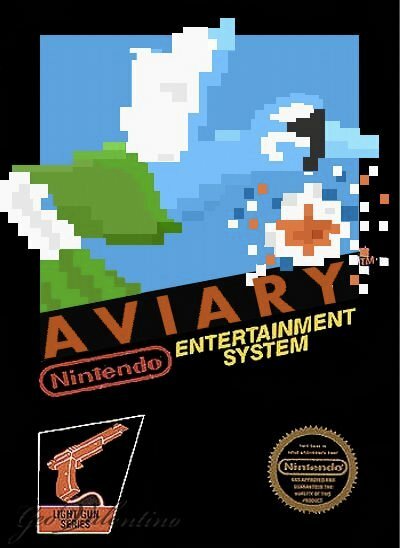 as long as you give Aviary credit. Check out these two samples to get a glimpse of what's now available! If you'd like to stay updated on all things awesome, I mean Aviary related, subscribe to our blog through an RSS feed, or get it straight to your email!